When we started blogging, our primary goal was to gather some information about the Rancho Mission Viejo development that was just getting re-started after getting mothballed in the wake of the real estate collapse. We were very interested and a little bit anxious about such a massive development, and the lack of public information was frustrating. We began digging around the internet, searching public records and using a little good old fashioned social engineering to gather information. At some point, we realized we probably knew more about the Ranch Plan than anyone outside of Rancho Mission Viejo Company and the Orange County Planning Commission. We decided to gather that information and publish it in a single point of reference — this blog. Evidencing the lack of public information about the Ranch Plan, it wasn’t more than a couple weeks where our little blog began to dominate the Google search results relating to the Ranch Plan. To this date, the vast majority of internet search traffic that we get is the result of some combination of search terms related to Rancho Mission Viejo and Planning Area 1 — Sendero and Gavilan. Initially, at least, our goal was to accumulate all the publicly available information about the Ranch Plan in one location. We weren’t concerned about whether anyone was reading the blog, or that no one was commenting. Our goal was to create a resource for others to use when the time was right. To be honest, though, this blog was not going to last if the Ranch Plan was our sole reason for being. Single issue blogs tend to be very passionate about their cause — either for or against something, but passionate. We’re not zealots — just curious neighbors who are interested in what’s going on and hope that it enhances our quality of life more than it detracts. We can’t write forever about that! But we are passionate about this area. Like many of you, we chose to live here for a number of special reasons — schools, kids, amenities, open space, friends and a sense of being connected to the land that is lost in most of suburban Orange County. So we write about that, too. In other words, life on the ranch in South Orange County. Life on the Ranch in South Orange County! 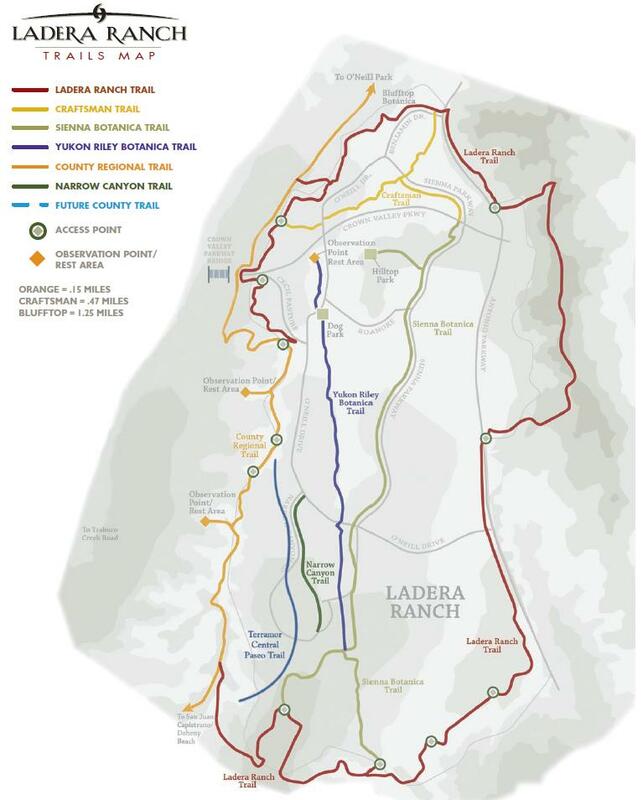 We consider our sphere of influence to be Ladera Ranch, San Juan Capistrano and the Rancho Mission Viejo lands. That’s what we know best and where we will focus our writing. Our secondary areas of coverage include Coto de Caza, Las Flores, Rancho Santa Margarita, Mission Viejo, Dana Point and San Clemente. That means we pay attention to those areas, but we don’t pretend to have the same level of insight or access — at least not yet. We don’t try to break news, but we do try to find and disseminate information that will be useful to current and future residents. If we can influence things for the better in the process, that is a bonus! On that note, how influential are we? We still consider ourselves to be in our blog infancy, so we’re not holding unreasonable expectations. But we started analyzing our site traffic in August 2012. Since that time, we have over 8,000 visitors. We average just over 100 visitors per day, and our busiest day was 938. As I write this, we have had 244 visitors today. The traffic trends are all up. Google searches represent almost 60% of our incoming traffic, but that number was 100% when we started tracking. Facebook is number two, currently comprising about 22% of our traffic. We get traffic from email links, and have even been referred by Redfin, the San Juan Capistrano Patch and the Orange County Register (in the comments section). Surprisingly, at least 2-3 people per day find us by Googling “Rancho Ortega Blog”! Of our traffic, just over 30% is from Ladera Ranch. Interestingly enough, the third highest source city is New York, representing about 5% of our traffic! The remainder of our guests’ top ten locations are southern California cities including Los Angeles, San Diego, Irvine, Anaheim, Mission Viejo and San Clemente. About 75% of our visitors are first time visitors, meaning that 25% are repeat guests. As for the future, we’ll keep writing about the matters that interest us – schools, development, real estate, recreation, family activities and local politics. Only time will tell whether or not a community forms here. We’d be excited — and flattered — if it does, but we’ll keep writing regardless. Because we know you are reading, and that’s what counts. Thanks for sharing our first one hundred posts with us, neighbor. We hope you stick around for many more.